This time of the year is perfect for skiing and all sorts of outdoor winter sports. 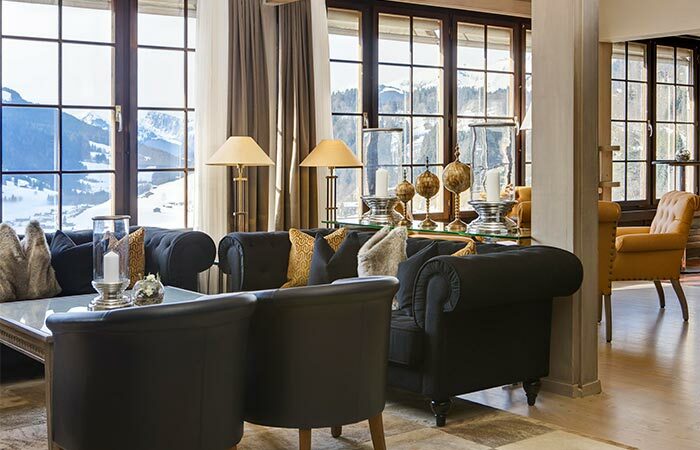 Whether you’re seeking adventure or simply want to cuddle up in a cozy atmosphere, HUUS Hotel Gstaad is the mountain getaway you’ve been looking for. There, you can reconnect with nature and enjoy in more than 250km of ski runs. 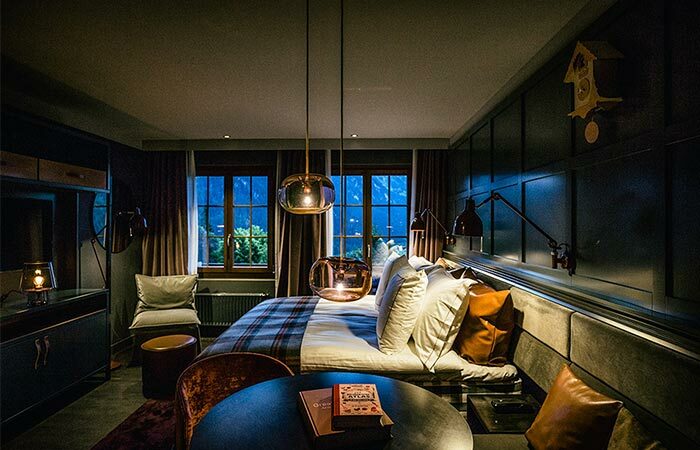 Located in the heart of the Swiss Alpine region, this hotel combines luxurious with the rustic, Alpine style. 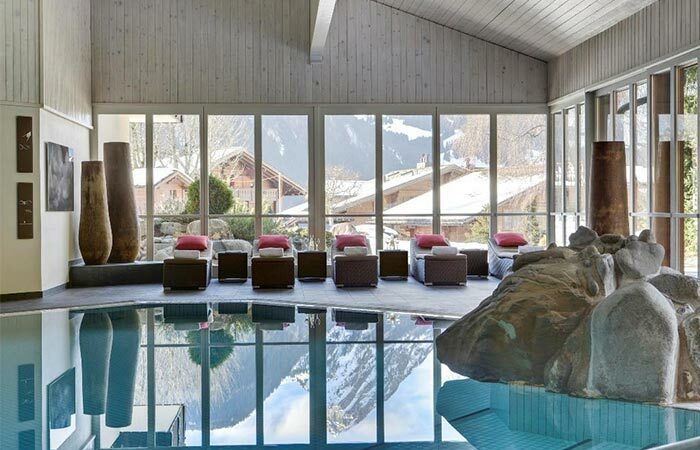 The interior features all sorts of sourced woods and stones, offering a true mountain cabin experience. This retreat has 131 guest rooms, from single and double rooms, all the way to suites. 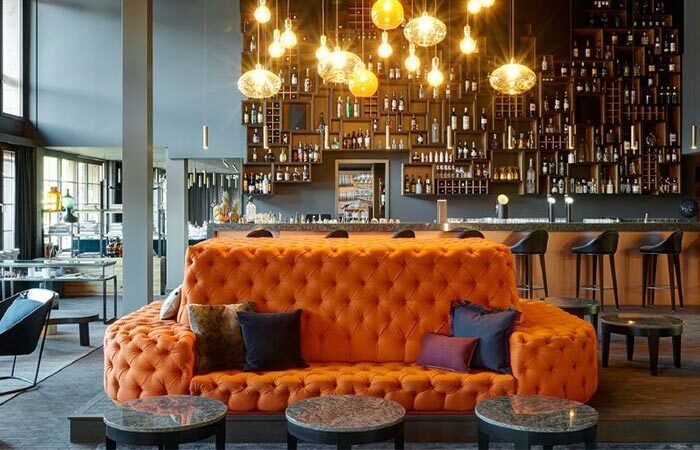 There, you can enjoy comfy sofas and gather your friends and family. 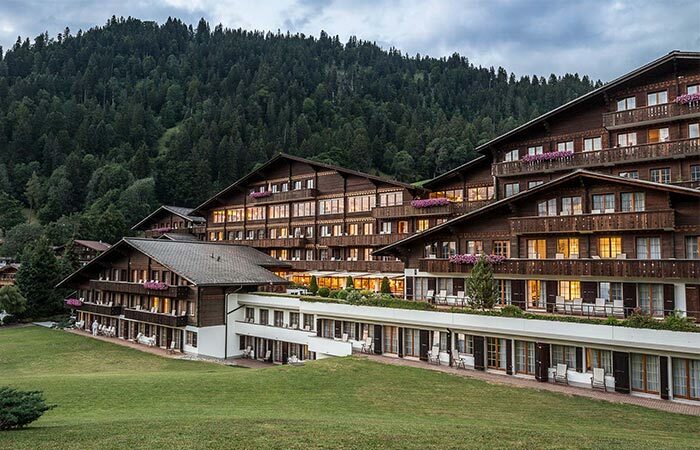 HUUS Hotel Gstaad is located in a Swiss Alpine region. It offers many options for relaxing and outdoor activities. There are 131 guest rooms, different in size and interior. For those wishing to try culinary treats, you in the right place- the restaurant, bar and dining cave offer dishes from all over the world. 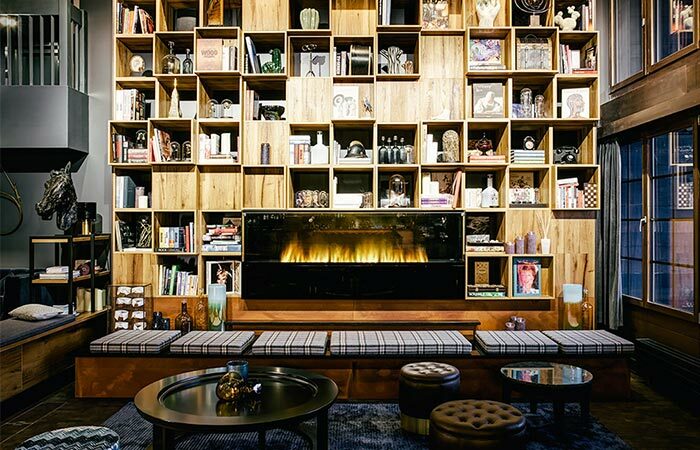 There’s also a chilling area with 500 books and a fireplace. For relaxing, there are more 2,000 square meters of wellness area including aromatic sauna, ice fountain, steam bath, hydrotherapy and panoramic swimming pool. Not to forget the massages and a gym. 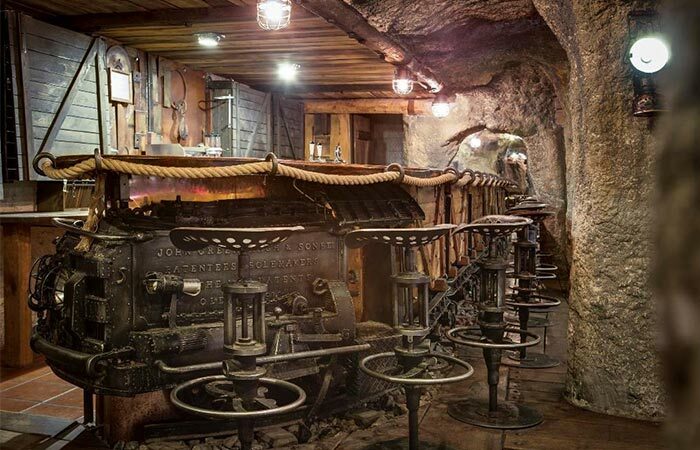 The dining cave is decorated in a steam punk style. The lobby provides great views of the skiing slopes and mountains. The communal area with the fireplace. Besides the dining cave, there’s also a large bar and restaurant. The swimming pool is just one of many amenities.